Back in 2005 a small group of friends got together and decided to try and build our very own big band. We were young and crazy, not realising the amount of work it might take. Starting out in a back room in the Half Moon in Herne Hill, we began our journey, finding new players who would join our ranks. 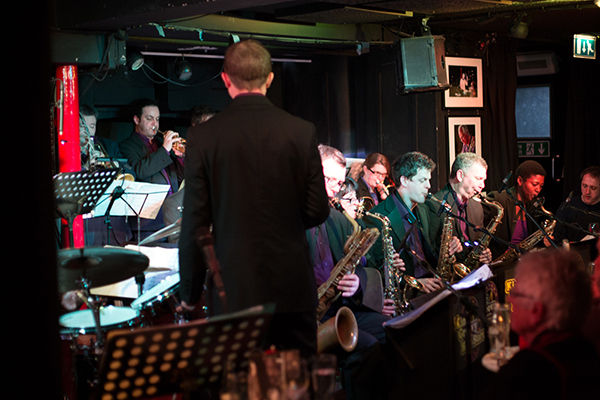 Over the years we’ve had numerous musicians join our happy band of swinging warriors, and now in our tenth year we hope to celebrate later this year. So this is a call out to all those old members who might be interested in joining our celebrations, keep your eyes peeled for a date to put in the diary. And bring your instruments. Get in touch with Tony to find out more. @MsLadyPhyll @susiestoneltd check out these moves!